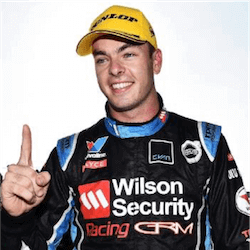 Kiwi Supercars star Scott McLaughlin has been involved in what he has described as the biggest head-on hit of his career. McLaughlin was owning the time sheets before he crashed out of the pre-season test at the Sydney Motorsport Park on Friday. Scott suffered tyre failure whilst taking part in the 3.9km test session, causing the DJR Team Penske driver to crash head-on into a tyre wall at a high speed at the very first turn of the track. Luckily for the New Zealander, he came away unhurt. His Falcon was however not so lucky and was wrecked in the accident. The up-side is that the Kiwi will be fine and ready to compete in the season opener, the Adelaide 500, come March the 3rd and 4th. Meanwhile, in other Supercars news, Team Triple Eight has revealed that it has been working narrowly with Oxfordshire-based firm Wirth Research in an attempt to perfect the design and development of the team’s new ZB-model Holden Commodore Supercar. The firm was established back in 2003 by Nick Wirth. Wirth was the founder-owner of a very brief and short-lived Formula 1 outfit named Simtek in the 1990’s. Since then, Wirth Research has been involved in quite a number of development categories, most notably its F1 stints. In 2010, the firm teamed up with Virgin Racing and produced a grand prix car sans the use of a wind tunnel for the team’s debut during that year. The fact that wind-tunnels are banned in Supercars has been the starting point for the Team Triple Eight / Wirth Research development partnership. Wirth Research provided technology that is as of yet unavailable in Australia and New Zealand, all relating to CFD knowledge. Roland Dane, owner of Team Triple Eight, said that physical distance did not prove to be any problem during the development process and that the relationship with Wirth, if anything, has brought Triple Eight up to standard as far as ground breaking leading levels of expertise were concerned. 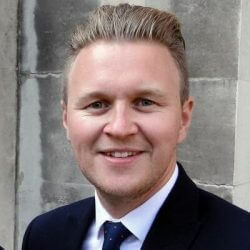 Dane also said that the time difference between the United Kingdom and Brisbane did not prove to be any kind of an issue, as the team at Wirth Research had continuously gone above and beyond in ensuring absolute quality in service delivery. Dane confirmed that the team’s partnership would be an on going thing, extending into the current year and Supercars season as well. The EPrix racing series is starting in Riyadh for the first time ever, promising to be one of the most exciting racing events of recent memory. 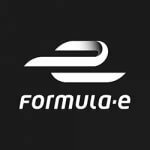 Saudi Arabia is getting ready to host its first Formula E race, where 22 drivers from around the world will be racing for the …. 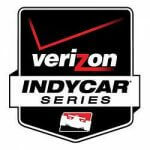 Gearing Up for the Verizon IndyCar Series With the 17-race Verizon IndyCar Series season kicking off now, things are looking good for Rahal Letterman Lanigan Racing. As a starter, the team was able to confirm that they have expanded their two full time entries, something they have not been able …. 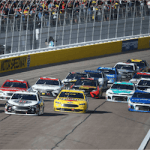 Las Vegas Motor Speedway And The Pennzoil 400 Las Vegas may be best known for being the casino entertainment capital of the world, but it is also home to the Las Vegas Motor Speedway, which is in turn, home to NASCAR’s Pennzoil 400. We delve deeper into the history and …. 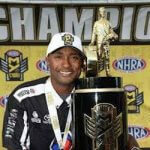 Antron Brown To Set The Pace At Pennzoil 400 Three-time Top Fuel World Champion Antron Brown will be driving the official pace car at this year’s inaugural Pennzoil 400. The Pennzoil 400 will take place at the Las Vegas Motor Speedway on Sunday the 4th of March and Brown, no …. Charitable Quiktrip 500 Kicks Off The Folds of Honour Quiktrip 500 is a NASCAR Cup stock car race held in Atlanta Georgia at the Atlanta Motor Speedway. 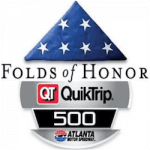 This event is the second race of the Monster Energy NASCAR Cup. Originally this race was part of the second race of the ….